Classified » Business & Office » Businesses for Sale » Designing a dream space is now easier than ever. 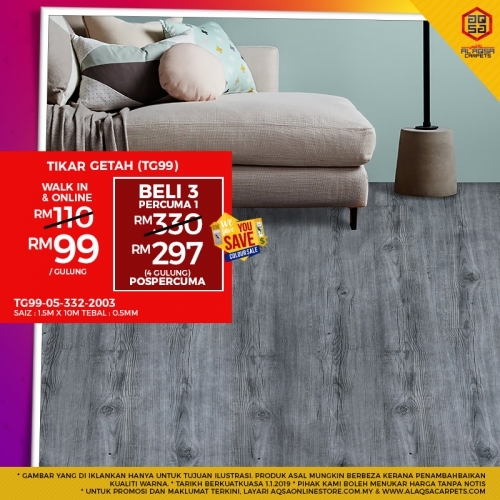 Buy Tikar Getah Flooring At Just From RM99/Roll & Design Your DREAM HOME!! WESAVEYOUSAVE SALE FOR 4 TYPES OF TIKAR GETAH DESIGN!! Talk to our sales person about your needs, likes, dislikes, budgets and home aspirations.